We are committed to making sure your event is fun and memorable for you and your guests. 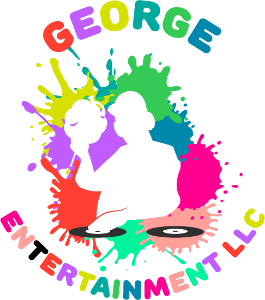 Read the following testimonials about George Entertainment LLC for an idea about what you can expect from us. We used the 19ft double slide for our block party and were more than pleased! We had 25+ kids and the slide tired them all out!! The service was amazing, the price was very competitive, and delivery prompt! We will definitely use George Entertainment Again! Thanks so much!! George was very professional and clean! He delivered my two inflatables between the hours he said he would and set it up nicely. He also has reasonable pricing! I got a deal for two big inflatables and was very pleased with his service and professionalism. My son and his friends really enjoyed the 9' double slides we rented through George. Kids and adults of all ages loved it too! His staffs who setup the slides were nice too. George responded promptly to every inquiry.Thumb ups guys, keep it up. Would highly recommend!!! George is easy to work with. Provided a contract. Kept in touch with me all the way up to the event. George helped us out last minute and rented us extra canopies the day before our party. Kids loved the bounce house AND it came at a reasonable price. Guys setting up were very nice and accommodating. All around good experience. Bravo George Entertainment!! My co-workers and I have used George for multiple events and each experience has been great! George and his team are very professional, nice and a pleasure to work with. I will definitely use his services for future events & recommend that you consider using him as well.